Since the beginning of the tournament IPL in the season, Sunrisers Hyderabad is in great from. They have finished the group stage of Indian Premier League 2018 as holding the top position on the point table. But they were about to out of luck by facing defeat in first qualifier against Chennai Super Kings. So, they were forced to play the 2nd qualifier match against the winner of eliminator round. Kolkata Knight Riders was the winner of eliminator round and they beat Rajasthan Royals in that round. So, yesterday against Kolkata Knight Riders, SRH played the 2nd qualifier match. 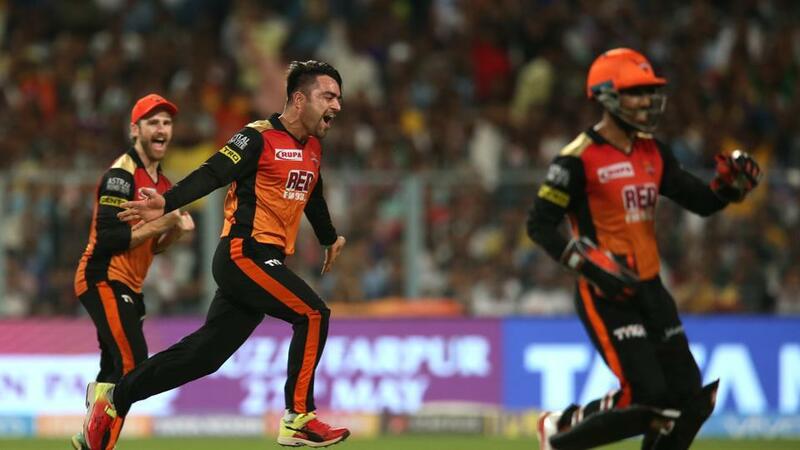 The match was staged at the home venue of Kolkata Knight Riders and once again at the home venue, Sunrisers Hyderabad beat KKR in 2nd qualifier. Earlier in group round, Kolkata faced Sunrisers Hyderabad twice times where among them one match took place at Eden Gardens, Kolkata. In the match, KKR faed the first defeat against SRH by 5 wickets. ON the other hand, in return game at the home venue of Sunrisers Hyderabad, KKR beat the local team by 5 wickets so far. So, in group level, they were in even. But yesterday at the home venue, KKR wanted to make change but history seems against them. They failed to write new history against Sunrisers Hyderabad. The match between KKR and SRH was the 59th match in the ongoing season of IPL which took place in 25th May, 2018 at Eden Gardens. In the match of 2nd qualifier, KKR won the toss and let Sunrisers Hyderabad to bat first. So, with Saha and Dhawan, SRH started their innings. Openers added 56 runs when Dhawan was gone with 34 runs. Just four runs later, skipper Williamson was out as well. He scored 3 runs only. Williamson used to play good in earlier matches but in an important match, he was flopp. Saha scored 35 runs so far. Among rest players Shakib scored 28 runs, Hooda scored 19 runs and Rashid Khan scored 34 runs so far. By losing seven wickets SRH scored 174 runs in 20 overs. Lynn and Narine came to chase the match against SRH. They started good but partnership did not went long. In 40 runs, partnership was broken. Lynn scored 48 runs and Narine scored 26 runs so far. Rana scored another 22 runs. If we consider the rest players, Shubman Gill scored 30 runs. By losing nine wickets team KKR scored 160 runs in 20 overs. So, they faced defeated by 14 runs in 2nd qualifier and their journey in IPL 11 have finished.